It seems that not everyone was delighted by Facebook’s $19 billion acquisition of the popular messaging service WhatsApp, with the news sparking a wave of defections to the rival Telegram service. Created by Pavel and Nikolai Durov, founders of the VK, the largest European social network, Telegram prides itself on being “100% free” with no charges or adverts, and is run as a non profit venture. The app itself looks absolutely identical to WhatsApp and is available on Android/iOS and Windows Phones with the added bonus of a host of unofficial clients also being available, including a web version and desktop apps. 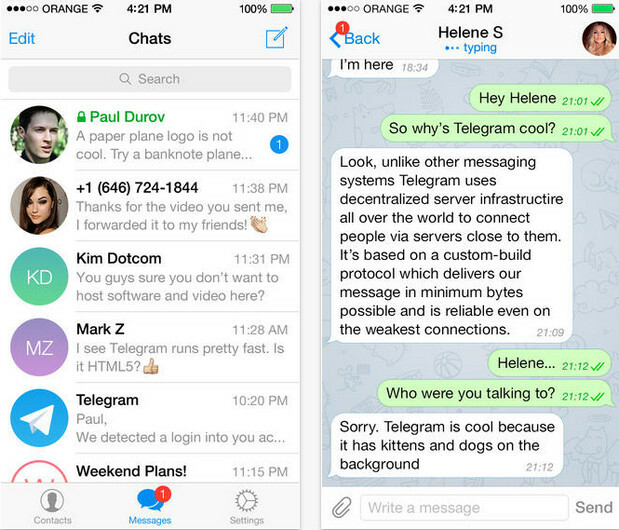 Private – Telegram messages are heavily encrypted and can self-destruct. 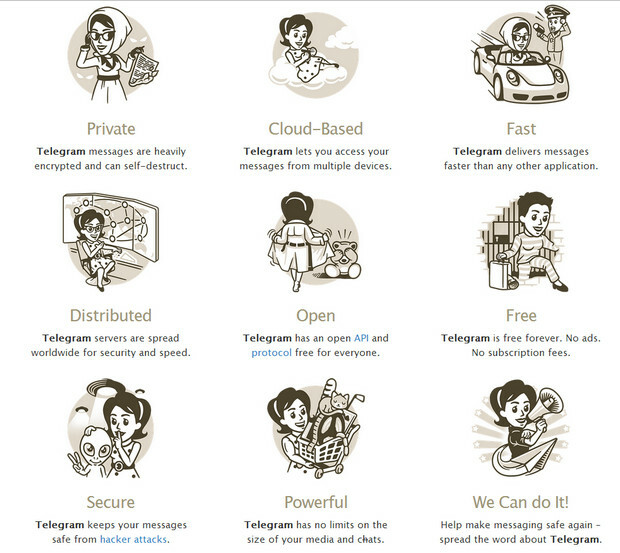 Cloud-Based – Telegram lets you access your messages from multiple devices. Fast – Telegram delivers messages faster than any other application. Distributed – Telegram servers are spread worldwide for security and speed. Open – Telegram has an open API and protocol free for everyone. Free – Telegram is free forever. No ads. No subscription fees. Powerful – Telegram has no limits on the size of your media and chats. The app already seems to be picking up a load of new users, with many of our friends instantly switching to Telegram and dumping WhatsApp. We’ve already switched and won’t be going back. Give it a go and tell us what you think! All our applications support phones and tablets, including no-wifi devices. Unofficial alpha apps for Windows Phone can be found below.